I Don’t Like That Paper! What do you do with all the designer paper you have in your stash that you just don’t like? You add stamped images and colors to make it into something you do like, of course! I stamped the small doily from the new stamp set, Delicate Doilies, in Calypso Coral in the empty spaces and presto-chango…new designer paper! This is a great idea when you buy those big 12 x 12 packs of paper (non-SU, of course) and find that some of the paper is not something you would use for anything. You can also emboss them or color in some of the images to match your cardstock. Lots of fun! My first order from the new 2011-2012 Stampin” Up! Idea Book and Catalog arrived last week and one of the stamp sets I purchased was the Delicate Doilies Set (122592). This set comes with 4 beautiful doily stamps. This is my first card using one of the them and I love the background it made! I stamped the doily randomly on a piece of Whisper White Card Stock with Versa Mark and embossed all the images with Black Stampin’ Emboss Powder (109133). I adhered the panel to a card made from Riding Hood Red Card Stock. I stamped the cake image (retired) twice, once on a 2 x 2 3/4 piece of Whisper White CS and once on a scrap. The image on the scrap of Whisper White was colored, cut out, and adhered over the cake image on the panel with Stampin’ Dimensionals. I added a square, black brad to each corner of the panel and then it was then adhered to a piece of Riding Hood Red CS with more Dimensonals. Another piece of Riding Hood Red was punched with the Scallop Edge Punch and piece of black ribbon was added. It was adhered to the side of the card front with Multipurpose Liquid Glue. To purchase any of the products used to make this card, just click on the “Order Online” button in the right column. Don’t you just love this card? So many Stampin’ Up! Demonstrators have been posting cards using the new Flower Fest Stamp Set (122278 – wood or 122280 – clear)from the Summer Mini Catalog. I think everyone must love it! Anyway, I saw a card like this one that was made by another demo, but I don’t know who it was now. This was her idea, not mine…I just had to make it because it was just too pretty and was screaming my name! I did something different though. I used the Solid Stripes Background Stamp (115707) to make the striped piece of cardstock behind the flowers. 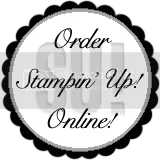 I tell you, with all Stampin’ Up’s images, background stamps, ink colors, and embossing folders, you really never have to buy another piece of decorative paper again! The flowers were stamped with Versamark (102283) and embossed with 2 of the new embossing powders, Wild Wasabi (123224) and Tangerine Tango (123106). Both of these, plus Melon Mambo Embossing Powder (123223) can also be found in the Summer Mini Catalog. I stamped 5 flowers and then cut off some of the outer rings of petals to make different layers. Each petal layer was adhered to each other and to the card with Stampin’ Dimensionals. Everything was then layered and adhered to a piece of Whisper White Cardstock which was dry embossed with the Big Shot and the Finial Press Embossing Folder (115963). I loved this card when I first saw it on Connie Babbert’s Blog and just had to make one. The background is made from bubble wrap and ink and is such a great idea! All you do is rub your ink pad across a piece of bubble wrap, lay your piece of cardstock on it, and rub over the back of it. The birds are from the Happy Together Stamp Set (114314) and were stamped in Basic Black Ink onto Whisper White Cardstock. The flower was made by punching out 2 flowers with the Fancy Flower Extra-large Punch (118073). The Daffodil Delight flowers were then scrunched until the cardstock started separating, the paper was pulled apart, and then the flowers were scrunched again. Flowers made like this are beautiful and so realistic…much better than the ones you get in packages at the store. Have you tried Stampin’ Up’s background stamps yet? 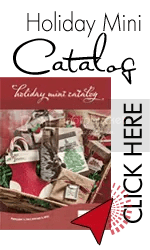 They can be found on pages 141 and 142 of the Idea Book and Catalog. These are very large stamps that will cover an area of about 4 1/2 inches by 5 3/4 inches. 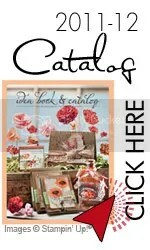 They are super for cardmaking and scrapbooking and you can use all of the image or just part of it. The background on this card was made by stamping the Teahouse Background Stamp (117132) in Melon Mambo Ink onto Regal Rose Cardstock. It was layered onto a card made from Whisper White. The flower and jar stamp came from the On the Grow Stamp Set, which is in the Summer Mini Catalog. It was watercolored with Stampin’ Write Markers and then the jar was covered with Crystal Effects. The greeting is from Three Little Words (113254)and was layerd on tags made from the Sizzlits Lots of Tags 4-Pack Dies (114508). Here are two of the cards from Monday’s Class. I’ll post the other ones later. Here we made our own background paper again using different small stamps and ink colors. After the images were stamped, the panel was run through the Big Shot with the Finial Press Embossing Folder.